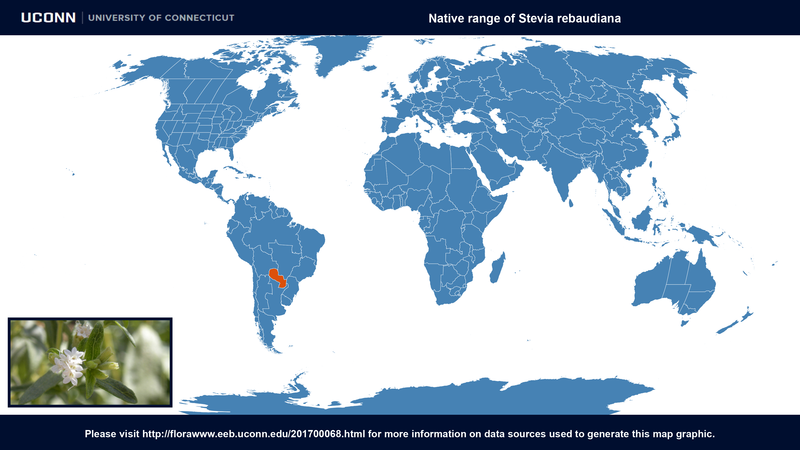 Description: Stevia has an alternate leaf arrangement and herbaceous to semi-woody growth habit with flowers arranged in indeterminate heads. 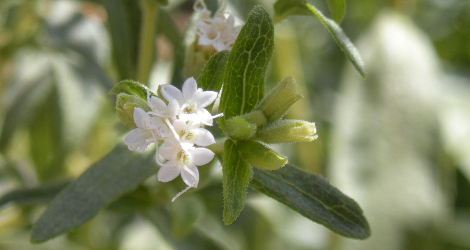 The flowers are small and white with a pale purple throat. The pollen can be highly allergenic. 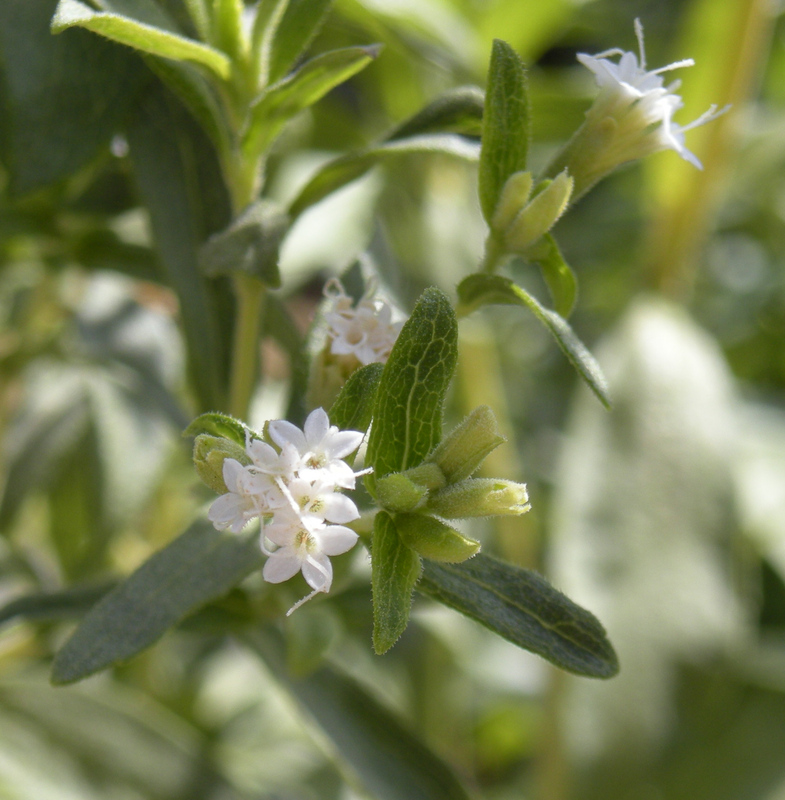 Stevia is self-incompatible and probably insect pollinated, the seeds are small, have very little endosperm and are dispersed in the wind via a hairy pappus. Properties/Actions: antibacterial, anticandidal, antifungal, antiviral, cardiotonic, diuretic, hypoglycemic, vasodilator. The Healing Power of Rainforest Herbs, Leslie Taylor, 2005. Image #00 (Cropped) & #01 (original) by Ethel Aardvark (Own work) [CC BY 3.0], via Wikimedia Commons. Last accessed on Tuesday, August 08, 2017. Sweetleaf at Logees Greenhouse. Last accessed on Tuesday, August 08, 2017.